Music has been a major part of our lives in the past couple of decades. Rap is still a fairly new genre, originating from 1978, with two dee-jays and a turntable. From there, rap broke out with artists like the Sugar Hill Gang, Grandmaster Flash, or the NWA on the West Coast. Back then, rappers were viewed as the voice of the African American youth, whose lives are misrepresented in the media. Many aspects of rap were controversial, with songs full of violence or misogyny. Over the years, rap has grown commercially to fit a more diverse audience. Its commodification has allowed large paychecks and platinum records. 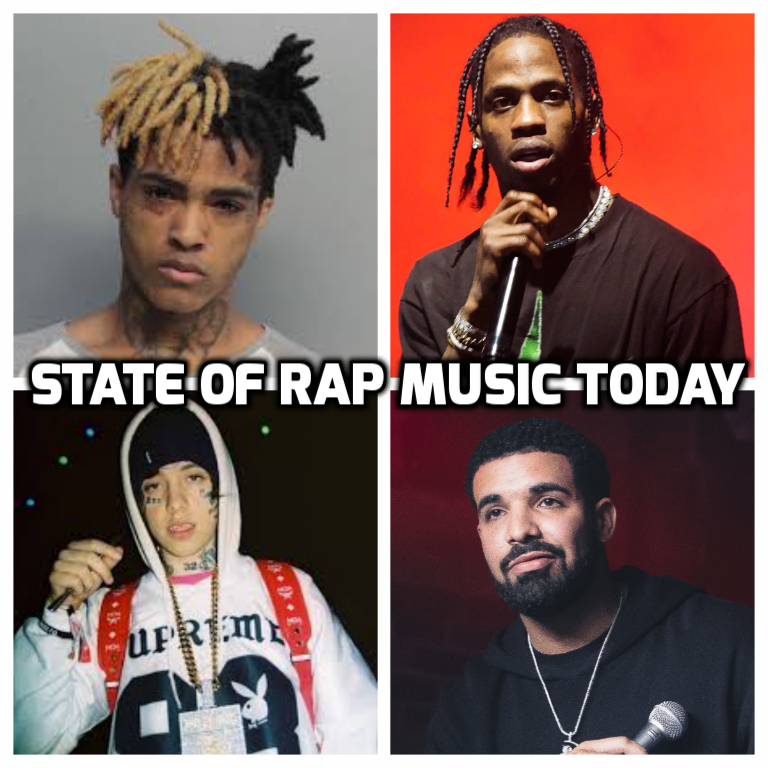 Over the past three decades, rap has grown from the styles of Tupac and Snoop Dogg to Drake and Kendrick Lamar, and finally, to a new era of rappers in our current generation. Gen Z, starting in the early 2000s, has grown up with a constantly changing view of rap music. I personally grew up with Eminem or the NWA — they introduced me to the fundamentals of rap. After time, the rap scene changed drastically. There are newer ‘lyrical rappers’ such as Logic, Hopsin, or comedy rappers like Lil Dicky. There were also groups of rappers, such as A$AP Mob, Pro Era, Funk Volume, or Ratt Pack, although some were disassembled after some time. With Soundcloud on the rise a little short of a decade ago, the term “Soundcloud rappers” was coined, representing those on-the-rise artists. They eventually gave birth to rappers like Lil Uzi Vert, XXXtentacion, Tay-K, Lil Pump, Trippie Redd and others. The current controversy in rap are the actions of some current “Soundcloud rappers” or newer artists. With lyrics that promote drug abuse, sexual acts and sometimes murder, most adults and teenagers despise their music greatly. Yet, they still have an incredibly large fan-base. For example, Tay-K, a 17-year-old rapper whose career began with the hit song “The Race,” which charted number 44 on the U.S. Billboard Hot 100 was arrested on capital murder charges. He was convicted of murdering Mark Anthony Saldivar, a 23-year-old man, on April 23, 2017 outside of a San Antonio Chick-fil-A. All over social media, you can see the hashtag #freetayk. Why would people support somebody who has committed a crime like him? Because he made a catchy song. The beat, the bars, everything about the song made many listeners advocate for his release. The #free trend is littered throughout social media for many different rappers, from Kodak Black to Meek Mill. South Florida rapper XXXtentacion’s career has run parallel with his allegations for robbery, assault, and abuse of a pregnant woman. A video has recently surfaced of him hitting a woman on social media, but they have claimed that it was done in a joking fashion. However, his album recently debuted at number one on the Billboard 200. How should fans of the music deal with these convictions? Hip-hop music has always been a controversial culture with the figures that represent the genre. In truth, it all comes down to the listener and his or her morals. If what they support and what they believe are not contradicted in the words or the meanings of the songs, then it is their conscience that allows these rappers to become successful. Rap is always evolving and we as an audience must decide where we want it to go. I personally listen to some of XXXTentacion’s music because his recent messages, posts, and music has shown that he has evolved as a person since being convicted. His music stays true. Although, the rappers face the consequences for their actions with a term in prison, we as the audience musn’t let them feel success for their abuse upon others. Of course, there are a wide array of well known rappers who bring a lighter tone to the rap game that you can listen to as an alternative, including Chance the Rapper, Logic, Lil Yachty, or KYLE. Some ‘violent’ rap may not be as much the artist’s fault as it seems. Most rappers grow up in poor communities, full of violence and murder. As Becky Blanchard, EDGE expert in the department of Poverty and Prejudice, stated “It is necessary to look at it as the product of a set of historical, political, and economic circumstances and to study the role it has served as voice for those subjugated by systematic political and economic oppression.” In other words, we must understand where this problem is coming from and address the root of the problem — the lack of resources and opportunities for urban minorities. Overall, it is hard to separate art from its creator, especially when the creator’s personal details are so well known in a world of social media. Leading the state of rap to create a positive environment from generations to come depends on the decisions and the conscience of the people today. Very insightful critique, Jeremy. This really raised some interesting questions for me on the nature of the art vs the artist.